Jeev Milkha Singh sparked a double celebration after beating Italian Francesco Molinari in a play-off to win the Scottish Open at Castle Stuart, on Sunday, and earn a spot at the British Open next week at the Royal Lytham and St. Annes. Jeev, who started the day way back in tied 16th spot, registered a bogey-free five-under 67 and moved into clubhouse lead. Then he waited for nine more groups to finish and found himself in a play-off with Francesco Molinari. "This is an amazing win. I waited for more than an hour, maybe longer to see if I was getting into a play-off. (Marc) Warren was playing well and then Molinari, too. I felt I had an outside chance of being in a play-off and after I finished lunch, there it was all of a sudden. I am glad I could pull it off," said Jeev. "I knew I was playing well," he said earlier after his regulation play. "I have been having good rounds but not good tournaments. To have a good tournament you need to put together four good rounds and this week I did that," said Jeev. 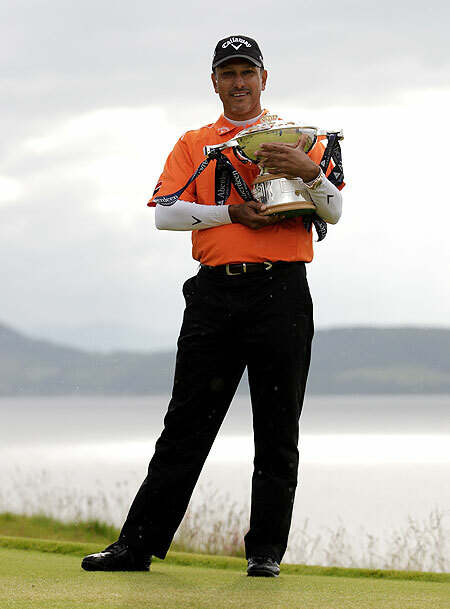 The win was Jeev's fourth in an European Tour event. His earlier wins were Volvo China in 2006, Volvo Masters of Europe in 2006 and the Austrian Open in 2008. In the first play-off hole, Jeev birdied from 15 feet, while the Italian missed from 25 feet to give the Indian his first win since 2008 and with it a berth in the Open. 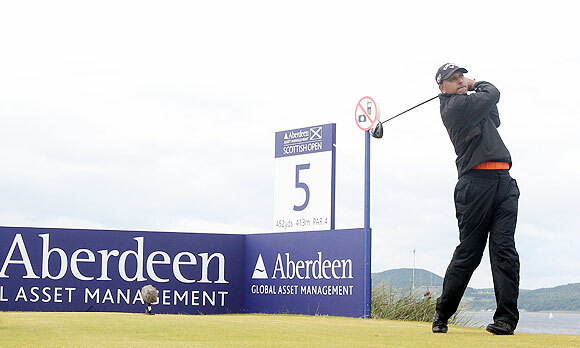 On a tough day for scoring, Jeev had a stunning start with four birdies in first six holes. He became five-under on 10th, but then had eight pars in a row, including a birdie miss on 18th. A little earlier, another Indian golfer SSP Chowrasia carded 72 in the final round to finish tied 11th, his best finish since the 2010 win at the Avantha Masters. Coming close after Thongchai Jaidee's win at the ISPS Handa Wales Open, Jeev's victory was also a big boost for Asian Tour and Asian golf. Jeev's qualification meant India had even more interest in the British Open as Anirban Lahiri came through International Final Qualifying -- Asia and Daniel Chopra, an Indo-Swede made it through a similar qualifier in the United States. 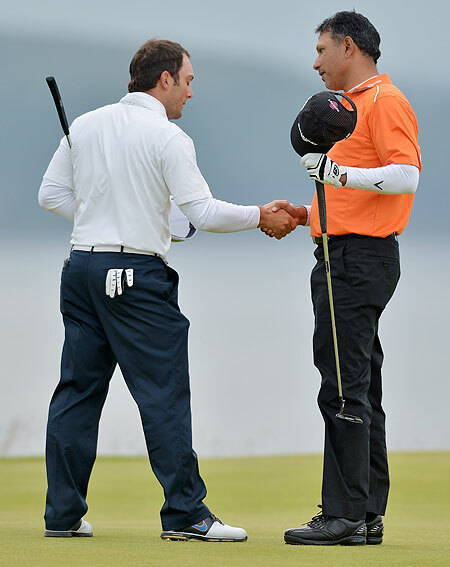 Jeev's 67 was the best round of the day, alongside Mathew Baldwin's 67 that got the latter to tied fifth. "Overall I was very happy with my bogey-free 67 because the conditions were quite tough out there," said Jeev after coming off the round and waiting for the rest of the field to finish. He was the clubhouse leader, having started early and there were nine flights behind him. Jeev started the day at 12-under and in tied 16th and was five behind the leader Molinari, who was 17-under at the start and stayed there with an even par 72 final round. "I finished on a good note and I am thinking about the birdies," he said. As he finished early and waited for the others to follow, he said, "I am going to have lunch and see how the boys finish. I think (Marc) Warren has a good chance and even (Francesco) Molinari. Let's see how it goes." Earlier in the windiest conditions of the week and with some heavy showers during the day, Molinari, overnight leader was caught by Scot Warren, Jeev and Dane Soren Kjeldsen. In the play-off, Molinari had the honour and drove down the right of the fairway. Jeev, after a long time in the clubhouse went to the left side but the slope helped it forward a bit further. Then Jeev went a little to the right and faced a blind third shot. Molinari was to the left. After three shots, Molinari was 133 yards away and Jeev was 120 yards to the pin but could see the green. Molinari got his shot to 25 feet but Jeev got it closer to 15 feet and rolled it in to pick up a brilliant birdie and the title, while Molinari never had a chance with a weak putt. Warren had a horrible finish with a double bogey on 15th and bogeys on 16th and 17th to drop to tied third with Alexander Noren, who himself bogeyed the last hole, also missing the play-off. In the morning, after eight successive pars, Francesco, brother of 2010 winner Edoardo, pitched to four feet and birdied to move to 18 under par. But Molinari dropped a shot on 12th and then picked another birdie on 13th only to drop a bogey on 15th. Then from the middle of the fairway after two shots, he left himself short of the green. Then he left the first putt short but managed a par courtesy a terrific 12-footer for par to get into a play-off. 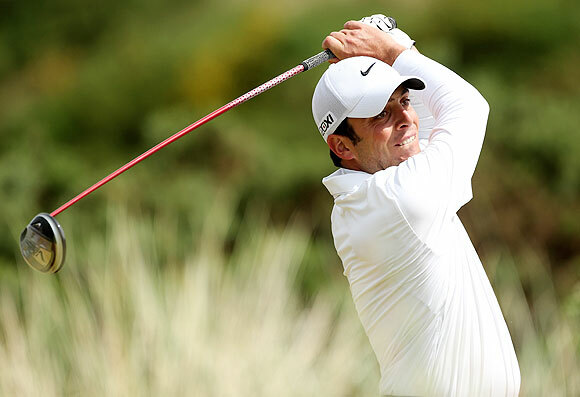 At one stage Warren moved three clear when he two-putted the 12th for birdie and Molinari bogeyed it, but the Italian -- runner-up in last week's Alstom Open de France -- came back with a birdie on the next. The new target in the clubhouse was Jeev's 67, but leaving a 14 foot birdie chance on the last shot probably had the Indian sitting on the edge. Warren threw away his advantage with a double bogey on the 15th and then bogeys on next two holes. When an Olympic gold came their way... by chance!